When we needed a sliding tray for a computer monitor but could not find such a tray on the Internet, we decided to design and build one ourselves. This post describes tells how you can build that sliding tray yourself. 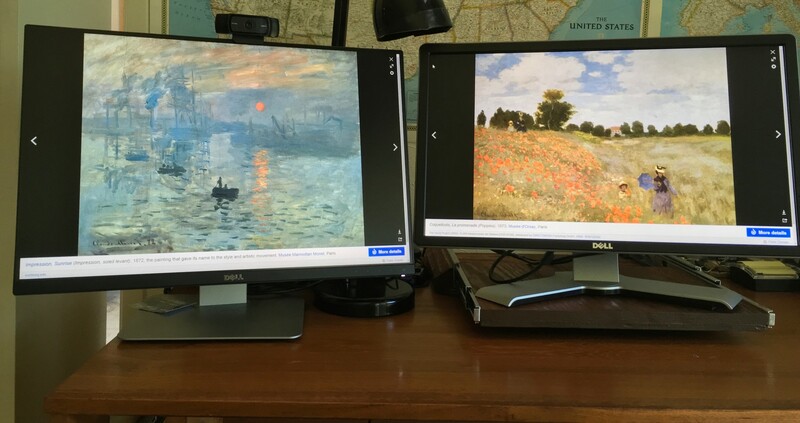 When you hook up two external displays to the out ports of a laptop, you will get the same image on each display. 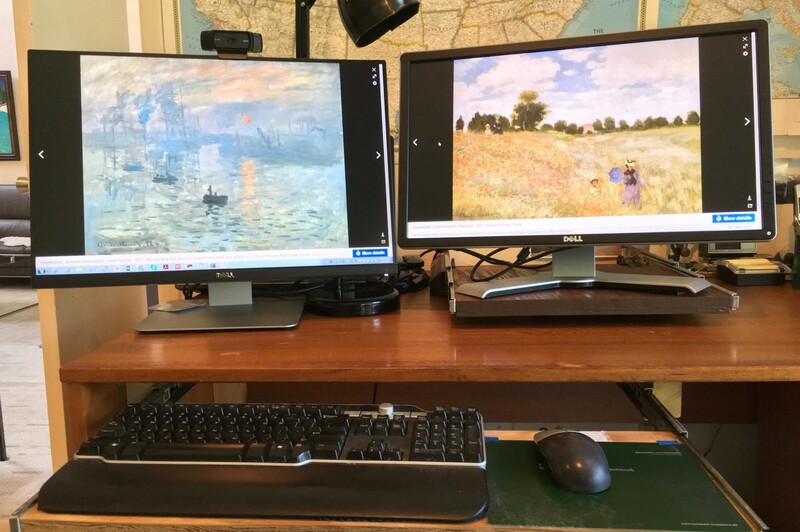 How can you hook up two external monitors so that they effectively become one single, very wide monitor, as shown in the photo?